A blog tour, also known as a book tour, is a virtual tour to help authors (or brands) promote their books (or products) without traveling. Instead of visiting bookstores, authors “visit” different websites over a certain time period. These stops consist of reviews, book/author spotlight features, interviews, guest posts, giveaways, etc. Some tours are as short as one day (a “blast” or “blitz”) and some last as long as 3 months. Some are not organized within a set time frame (what I usually refer to as “blogger outreach” or “review querying”). I’m going to let you in on a secret: running your own virtual book (blog) tour isn’t rocket science. I’ve been pitching bloggers for review requests (beauty products, mobile apps, books, shows, etc.) for over 6 years now and I can safely say I’ve nailed down the process, as well as picked up some great tricks along the way. Simply put: it takes time and strong attention to detail. Before you officially get started, let’s get some of the important details out of the way! Tour Length: Determine the length and the dates of your tour: 1 week, 2 weeks, 1 month, and so on… Personally, I recommend a 1-2 week tour. It’s much easier to pack in a bunch of posts over two weeks, than to scramble to fill up 4-6 weeks. Additional Features: Decide how many non-review features you’re willing to participate in (guest posts and interviews can be time-consuming). Giveaways: Decide if you are going to offer a giveaway. I highly recommended including one as an incentive for participants. Will you offer the giveaway to everyone or select bloggers? What will you give away? Books, e-books, gift cards, etc. Do you wish to limit the giveaway to a single country or expand internationally? Many authors choose to restrict their giveaways to their home country due to exorbitant international shipping rates. You can solve this issue by offering an e-book ARC. I encourage my clients to offer options for International readers and bloggers as they make up a large part of the bookish community and are often excluded. Prep Time: Do you have existing relationships with bloggers? If not, give yourself at least 6-8 weeks to get everything set up. Ready? Let’s get this show on the road! PHASE 1: COMPILE YOUR MARKETING MATERIALS! If you haven’t read my feature on what makes a good author website, please do so before continuing. You want to make sure you are putting your best foot forward. A clean website, with a comprehensive press kit makes everyone’s lives easier! If you aren’t able to put your press kit online, make sure you get everything compiled into an easily shareable zip file or public online folder (Dropbox or Google Drive work well). The most frequent compliment my authors receive from bloggers is in regard to their online press kit and their query email. Professionalism is where it’s at! You want to be taken seriously? Make sure your presentation is clean and comprehensive. Bloggers don’t want to have to dig around your website or have to ask you for additional info. 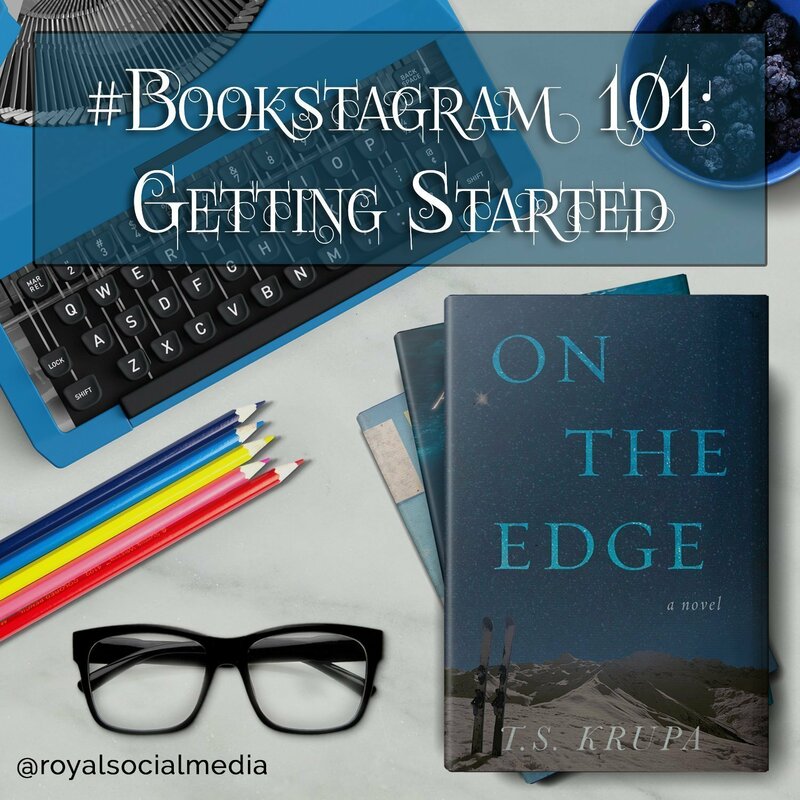 Don’t forget to attach your images (book cover and author headshot), as well as your book excerpts and/or guest posts separately! PHASE 2: BLOGGER RESEARCH & QUERY PREP! Do your homework! There is nothing a blogger hates more than an impersonal/mass email. Remember: they’re going to do you a huge favor. Do them the courtesy of showing you took the time to learn about who they are and what they like. There are some fantastic blogger databases out there, which are just a Google search away. 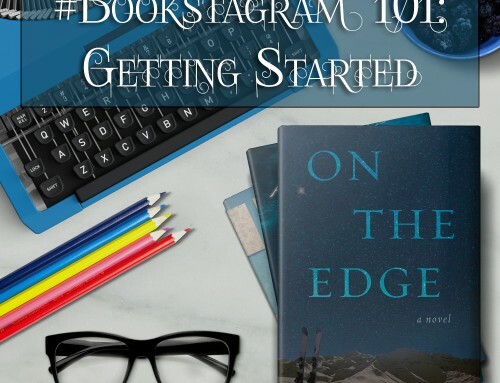 The Book Blogger List is a fantastic place to start (particularly since they allow you to browse by genre). Additionally, don’t discount tools like Twitter and Facebook. Those two sites have some seriously powerful search engines! Pro tip: Search for book blogger lists on Twitter (hello, gold-mine)! Blog Review Policy Notes – Genres & Reading Format Preferred, What to Include in Your Query, etc. Be as specific as possible! Enter your email address to unlock the download link (we can only send the link to a valid email address). We hate SPAM as much as you do. We will never publish or share your email address! The most important thing to remember is to personalize your pitch as much as you possibly can. First impressions are everything. You get one shot—try not to mess it up with typos or the wrong blog name! Second: Keep it short & sweet. Only include the necessary info, otherwise, they might lose interest and you’ll have lost out on a potential review. Salutation: Include a proper salutation. “Hello blogger,” is not going to cut it. Use the blogger’s name(s) or even “Hello Ladies of [Blog Name].” This shows you’ve taken the time to research them. An exception to the rule: If you can’t find any personal info about the blogger, a simple “Hi,” will suffice. Intro: Introduce yourself and ask for the review on their blog. Insert the blog name (again: I cannot stress the importance of reviewing enough). Book: Include your book synopsis & a link to the book on Goodreads and/or Amazon. Additional Content: Provide a link to your website’s press kit where they can get additional info. If you don’t have an online press kit, you can let them know you’d be happy to email them your kit if they’re interested in a review or feature. 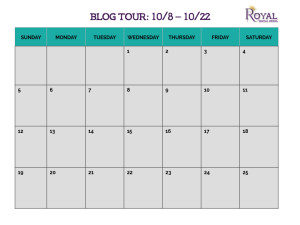 Blog Tour Info: If you’re running a blog tour make sure to include the dates and sign-up links (Google Forms is great for streamlined sign-ups). Wrap it up: If you have a deadline for the review, let them know. Last, but definitely not least: Thank them for their consideration! Note: I know I’ve already mentioned this, but it bears repeating: Make sure you’ve read each blog’s Review Policy. Your template should have you covered, but everyone has different preferences. Now you have a fantastic and easily customizable query template! PHASE 3: SEND YOUR QUERY! Do NOT rush this part of the process. You’ve done ALL that research and prep. Don’t ruin all your hard work with a typo or a wrong name. TEST your template! When copying & pasting to programs like Mac Mail or Outlook, the formatting might not translate very well (particularly when copying from Word). I’ve seen some weird font sizes, mismatched colors, and strange spacing issues. I like to send myself a test email. If it’s good to go on both webmail (gmail, yahoo, etc.) and my computer/phone app, I’ll actually copy & paste that email instead of the word template going forward. Review each email before sending! Now that you’re ready to start sending emails, make sure to triple-check the blogger’s name, their email address, and their blog name. In my early and impatient days, I ended up with some embarrassing and angry responses from the wrong blogger. Oops! :-/ :-? Do NOT include attachments (your book or press kit) unless the blogger specifically requests those items in their review policy. Be patient! Some bloggers will respond within minutes. Others might respond a month or two later! No one owes you anything—so be gracious and be grateful if and when bloggers reply. PHASE 4: SCHEDULE & PROMOTE! If you’re scheduling a tour, hopefully you’ll have already provided the bloggers with your tour dates. I find asking bloggers to give you their top 3 date preferences is the best way to ensure everyone is pleased. I like to put together a visual calendar (PowerPoint has some great templates) to keep track of my scheduled bloggers. Make sure to send the tour materials (cover photo, synopsis, buy links, author headshot, author bio, social media links, excerpts, etc.) to your hosts a minimum of 1-2 weeks before the tour is set to begin. Earlier is always better. Send a reminder or confirmation email no less than 3 days before the tour date to ensure everyone is on the same page. Once the tour begins, make sure to promote daily. Share your tour posts on Facebook, Twitter, Instagram, Blog, Newsletter, etc. I highly recommend creating a blog tour schedule post or page on your website, which you can update with post links each day. Don’t forget to participate in your own tour! Leave a comment on each post to say thank you and chat with the blog’s readers. PHASE 5: FOLLOW UP WITH A THANK YOU! These awesome sauce bloggers took the time to read, review, and/or feature you on their blogs. Take a moment to write a quick thank you email. This can be as fancy or simple as you’d like. Just make sure to show them some love and let them know you are grateful for their support! Manage your expectations. 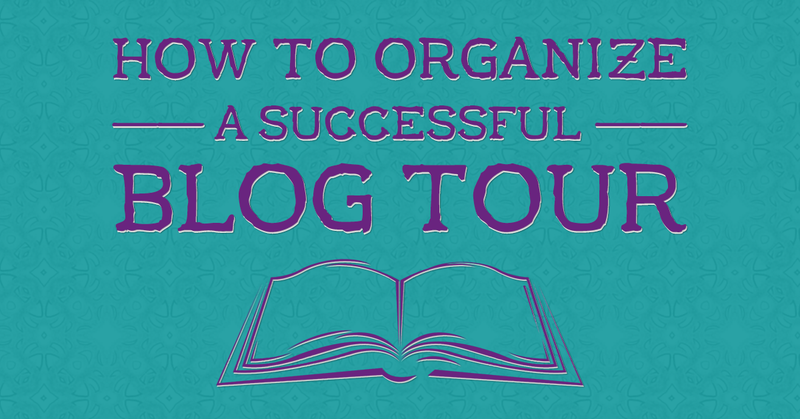 A Blog Tour is a fantastic way to generate new reviews and create online buzz. But don’t expect your book sales to skyrocket overnight. These things take time and you have to put in the work. 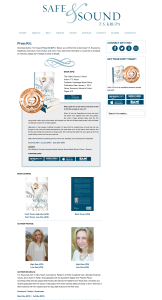 You may follow up with a blogger who has accepted your book for review a max of 3 times. Any more than that may be seen as annoying. Follow up with them the week before they are set to review your book or 4 weeks after your most recent email if they haven’t given you an ETA. If there’s no response, try two more times at monthly intervals. Remember: you’ve now got that fabulous new excel template so you can easily track responses and follow up! If you don’t receive a response, assume they’re not interested or too busy at this time. This doesn’t mean you can’t query them for your next release or promo. It just means you shouldn’t risk alienating or irritating them for now. Remember: I’ve had bloggers accept a review up to 3-4 months after I sent an initial email. This tells me they flagged it for follow-up at a later date. Never be rude. If you receive a negative review, do NOT be rude (even if the review is)! You should still send an email thanking the blogger for taking the time to read and review your work. End of story. Always be flexible. Be open to other types of features: author/book spotlights, interviews, giveaways (always recommended), guest posts, etc. You should take advantage of every opportunity to get your name and your book info/links out there! That’s it! Not so difficult, is it? Just requires a bit of your time and effort! What do you think? Did I leave anything out? How do you like to run blog tours? Do you run them yourself or hire someone else to run it on your behalf? Leave us a comment!